Itâ€™s been said that New Labour was more of sect than a movement. Now shorn of a leader the moderate faction has no-one else to turn to. 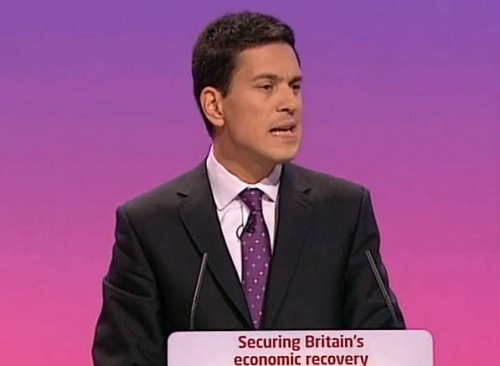 David Milibandâ€™s defeat in the 2010 leadership election showed that New Labor could not easily endure beyond Blair. Instead David Miliband allowed himself to be presented as a continuity candidate when many in the movement and country wanted more of a change and break from the past. David had the capacity to win but it would have meant moving on from New Labour, something he chose not to. It would have meant meeting the unions half way, something he showed disdain for. Since that defeat, the group most associated with his wing of the party, Progress, has taken something of a battering from the GMB and Unison who have called for internal action to be taken against it. Unions have accused it of behaving like a party within a party aiming to finance party selections of its preferred candidates. Unlike the unions or the Co-op Party, Progress isnâ€™t a formal affiliate. Despite these political broadsides (or because of them?) Progress remains a very effective organisation within the Labour Party and has a good record of getting their candidates selected. A growing number of hopeful Blairite MPs have already been chosen in marginal seats, but at the moment they have no leader in the PLP. Â It is rumoured that this wing of the party is now focusing on a future deputy leadership challenge once Harriet Harman decides to retire. Caroline Flintâ€™s name is now the name most mentioned, but she would not set out as favourite and would face strong challenges from a number of directions. Elsewhere in Shadow Cabinet Liam Byrne, Stephen Twigg and Jim Murphy carry the torch, but none are in a strong enough position to make much political impact. Now the rules have been changed they are all there on licence from the leader. It was revealing to see how the party faithful view them. In Labourlistâ€™s Shadow Cabinet rankings Murphy was 16th, Flint 17th, Twigg 25th and Byrne 27th out of 27. We are now in a post-Blairite age. Â The next Labour leader of the right of the party will have to be able to reach well beyond their ideological comfort zone, be popular with colleagues and come to a pragmatic relationship with its affiliates. At the moment there is no sign of anyone in the Parliamentary Labour Party apparently capable of doing this. The 2015 intake may be worth following closely in the years ahead. As for now, David Miliband leaves behind a ship with a crew but no captain. The money on the S Shields by-election is going on Ukip beating the Tories. Ladbrokes have 8/11 on them coming 2nd with 5/4 for CON. I got Ukip at 25/1 with PaddyPower when it first opened and the evens from Ladbrokes that the party would conme in 2nd place. The Lib Dems are not in contention here, will put in minimal resources, and I wouldn’t be surprised to see a lost deposit. My reading is that CON voters will be more inclined to switch to Ukip if the blue cause looks hopeless. Could it be like the CON 1993 disaster? To say that the Conservatives have been having a bad time of it lately would be an understatement. Since the PCC elections across the United Kingdom, if you are a Conservative candidate you have either lost the local by-election that you were supposed to have been defending (31 defences, 16 holds, 15 losses), been hit for six in parliamentary by-elections (Best performance: -7.25% in Manchester Central, Worst Performance: -15.97% in Corby) and suffered the continuing problem of not only losing support to Labour in the polls but now suffering a pro Lib Dem swing and a pro UKIP swing as well. And all these just a mere six weeks from the biggest test of Cameronâ€™s popularity, the county council elections. The 2009 local elections were an absolute triumph for the Conservatives. They managed to poll 3,382,211 votes (44%) against Labourâ€™s 969,572 votes (13%) who were not only beaten by the Lib Dems on 1,841,845 votes (25%) but managed to find themselves only polling twice as many votes as UKIP at 346,410 (5%) when at the 2005 general election they had managed to poll sixteen times the UKIP vote. However, as those county council come around again (as the polls show) it is clearly Labour who are going to have a barnstorming election. Since these elections were held four years ago, Labour have seen their national vote share increase by 15% (almost half their 2009 vote share) whilst the Conservative vote has dropped by 10% (almost 40% of their 2009 vote share). Coupled with this you have a swing from Con to Lib Dem (most likely to happen in the Con / Lib Dem battlegrounds of Devon, Dorset and Somerset) and a now surging UKIP (up a third on their 2009 vote share) which could damage the Conservatives all over the south of England especially. This, to me, bears an uncanny resemblance to the 1993 local elections (an election that every Conservative remembers with a sense of fear). Going into those elections, the Conservatives had 1,248 councillors (and control of 15 councils), Labour had 845 councillors (and control of 5 councils), the Liberal Democrats had 379 councillors (but no councils controlled) along with 85 Independents and a collection of Social Democrats, Liberals, Ratepayers and Others. @ #GE2010 South Shields had the 5th highest number of postal votes, 36.2%, in UK – suggesting super effective local LAB organisation. Sadly, I’m told, there’ll be no more Populus phone polls in the Times. A big mistake by the new editor. With the Times deciding to get rid of its monthly Populus poll there are now only regular three telephone surveys each month – ICM for the Guardian, Ipsos-MORI for the Standard and this one – ComRes for the Independent. As can be scene from the pie chart Ukip has advanced to 14%, its highest rating in a telephone survey by any pollster. It shows LAB on 38% (down five on last month), CON on 28% (down three), Ukip on 14% (up five ), the and the LDs on 12 per cent (up four). The post-Budget survey suggests that LAB has made little progress in winning the economic argument in the past year. Some 29% of people trust Dave and Osbo to make the right decisions about the economy, while 58% do not â€“ a net rating of minus 29 points. Meanwhile, only 22% trust the TwoEds to make the right economic decisions, while 62% do not â€“ a net rating of minus 40 , no better than the partyâ€™s score in previous ComRes polls in January and October last year. The public is still more likely to blame todayâ€™s economic problems on the previous LAB Government than the Coalition. Asked whether the Coalition is more to blame, 54% disagree and 32% agree. Another poll, from TNS BMRB has Ukip at 17. This week’s shares: CON 27% (+1), LAB 37% (-2), LD 10% (-3), UKIP 17% (+4).